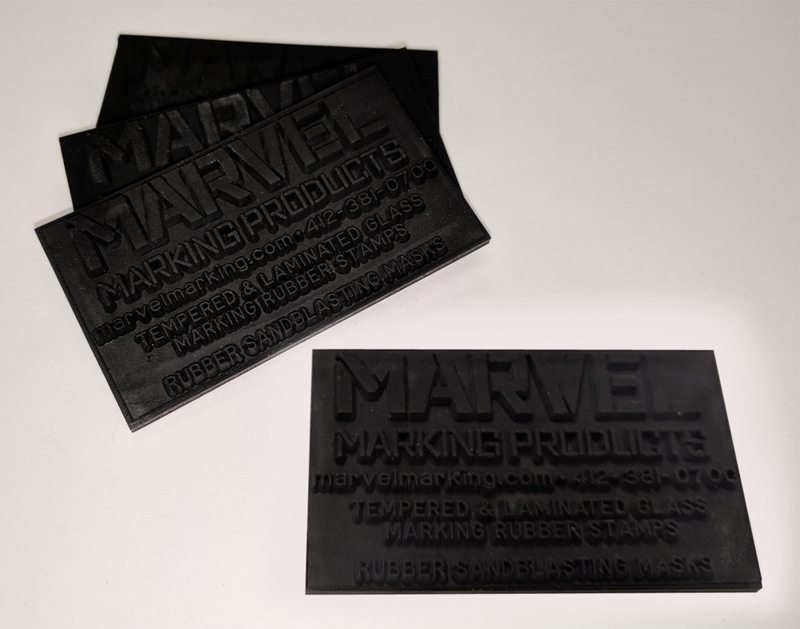 Marvel Marking’s Adhesive Backed Stamps allow flexibility in glass marking. Generally ideal for lower quantity marking, stamps can be used with ink or ceramic-based frit applications. Our rubber is produced for industrial use with industrial solvents in mind, keeping your mark sharp every time. Marvel customers use these for general glass logo marking, as well as to mark glass for SGCC certification requirements. 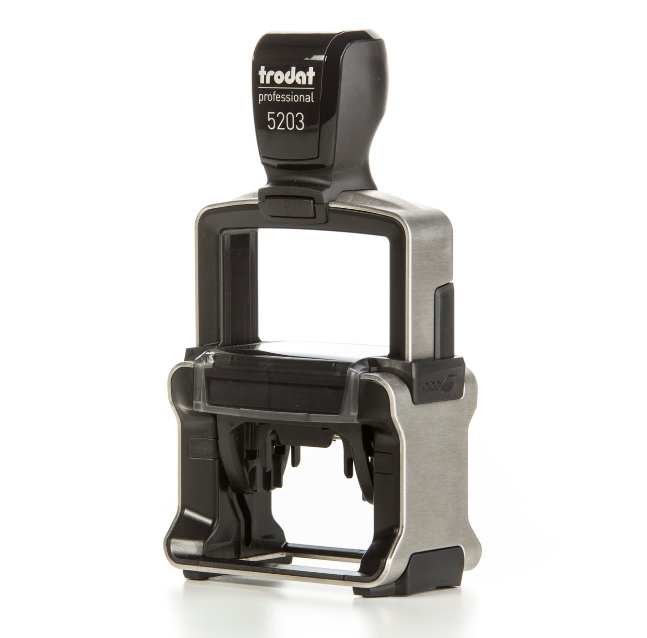 Self-inking stampers are what most of our stamping customers use to attach their adhesive backed stamp to in order to apply the ink to the stamp surface, and then subsequently to the glass. 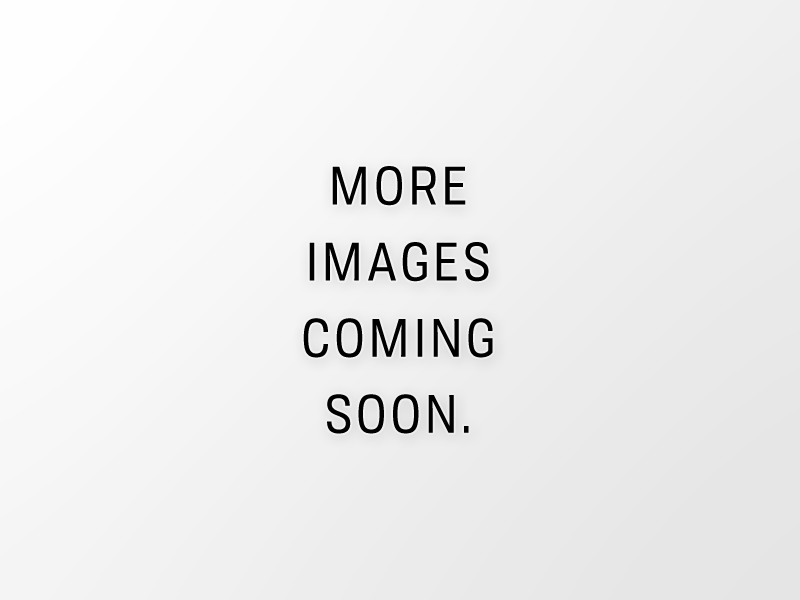 One dry ink pad is included with each self-inking stamper, and no ink is included with a stamper. This ceramic frit-based ink from Ferro is available from Marvel in opaque white or etch (for a frosted look) finish. This product must be applied before sending the glass through a tempering oven, as it is heat activated to make the mark permanent. We sell the frit-based ink in 1-pound containers, as well as offering the accompanying medium (or thinner) product in 1/2 pound jars. The medium is used to modify the consistency of the ink based on your plant's environmental conditions. Medium is recommended, especially to those purchasing their first tempering stamps, but not required by every customer. Marvel also offers a standard self-drying ink, which takes approximately a minute to dry. This type of ink is typically used by customers for laminated glass manufacturing and is stamped on the inner glass surface, which makes the mark permanent. If stamped on the outside of the glass, it will not leave a permanent mark. This self-drying ink is not scratch resistant and can be removed easily, unless marking the inner layers or inner glass surface of a laminated glass product. Available in white or black.